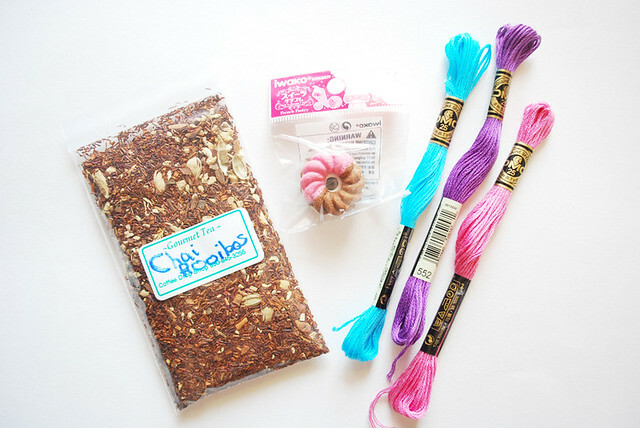 We're closing in on the end of the Stitch Swap, and I thought it would be fun to do a post dedicated to the extra goodies that are so much fun to send and receive with something like this. In with the hoop I received, there were so many goodies...I feel quite loved! 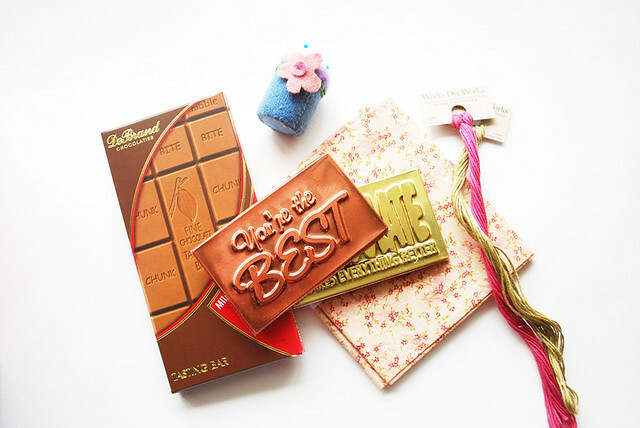 Chocolate, a fat quarter, embroidery floss and a handmade pincushion! Yes, the Buzz Lightyear is an extra...not even the regular hoop! And I'm a huge fan of those zippy pouches. Oh, but all of these are delightful, and made with such care. And I'd like to point out that participants aren't expected to add these things in. They are invited to, if they want...that makes these little gifts even more impressive to me! I'm so excited to be watching everyone's work coming together and getting ready to be sent! 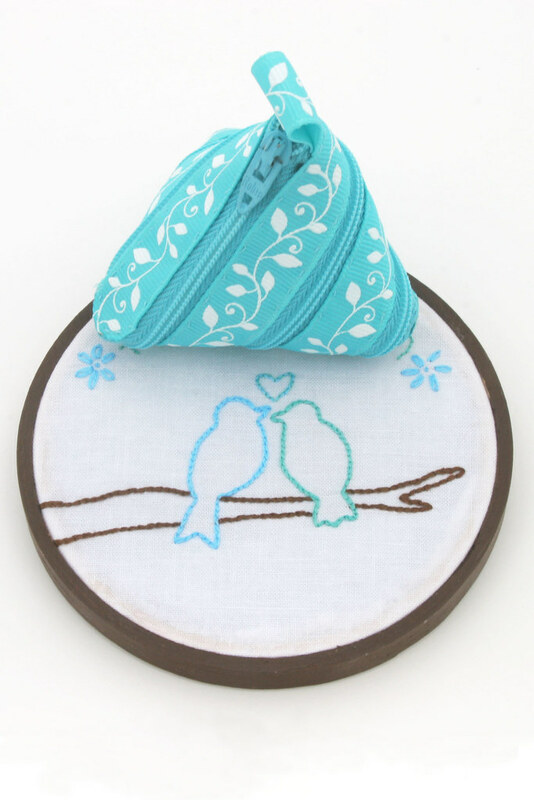 Here is the tutorial for the adorable zipper pouch, if anyone else wants it. I found it using my amazing internet ninja skills. 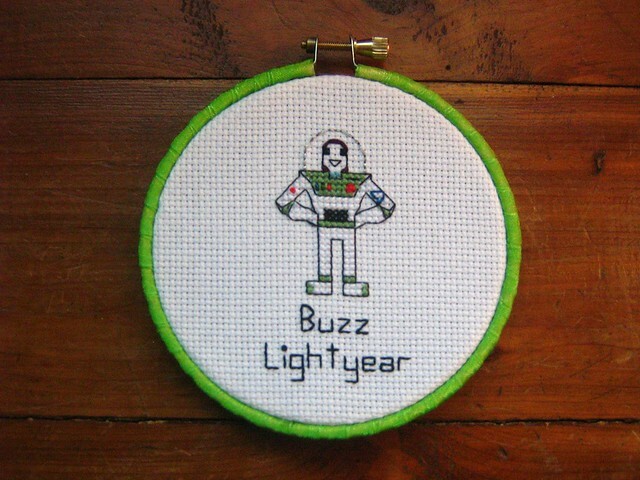 The buzz lightyear!! So awesome! 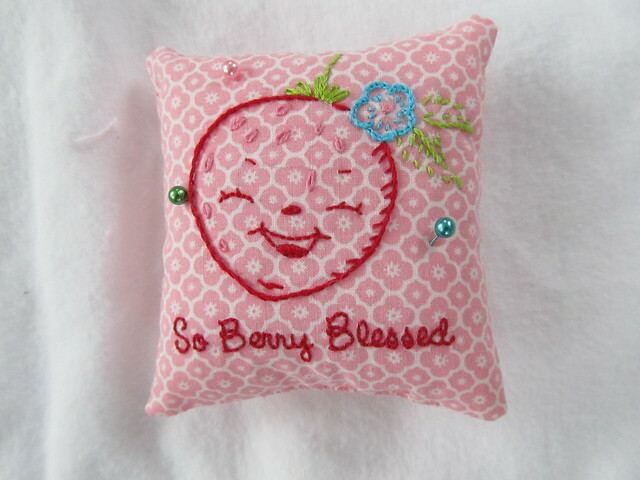 I'm going to our local stitch store today to pick up some extra goodies :) I can't wait to mail mine this weekend!! This is so beyond amazing!!! I love how pretty everything is, and how unique! THIS is one reason why I love crafting so much... When it's made by hand, no two pieces are the same! 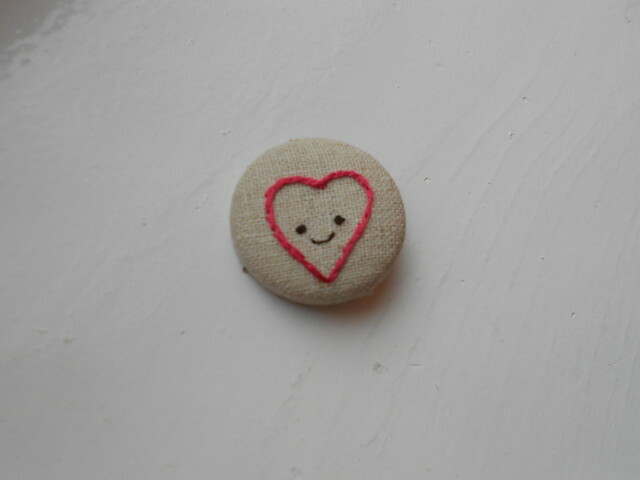 Also, you can bet your biscuits if I had any stitching skill, I would have done this!!! That's great! I'm really looking forward to participate to the next stich swap! Oooh, I didn't even think of including an extra little something! Sorry swap partner! I am excited. i just finished what I am sending...LOL and REALLY hope my swapee (love that word!) likes it. I had a very tough time deciding between two ideas for her...and in the end I did two hoops for her (less stress for me...LOL). Thanks for putting this together!! This is so much fun! I am about to send mine out as well...can't wait to see who will send me a little surprise! gosh i hope you'll be doing another swap, i am so so sad i missed this one! everything looks wonderful! So pretty and creative! I love your blog design! this was fun.. mine is in the mail, I posted about it but have yet to put it up to flickr. such cuteness here! and the swap idea is awesome. Chai Rooibos is my FAVORITE! I discovered it in my mom's extensive tea stash, and promptly drank all of it when I visited for Christmas and New Year's. I really need to get my own.